This is a link to a recent article from the NYTimes on how a couple chose to expand their living space within their present domicile. Check out the slide show. 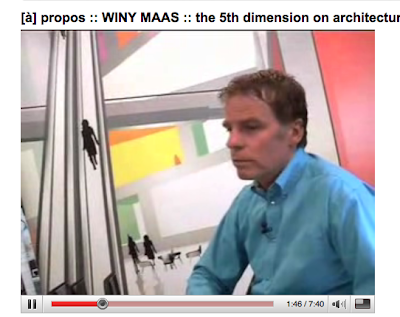 Then check out the video on the architect Winy Maas... ignore the videographer who either needs a steadycam or is trying to be too creative. Since i have not yet figured out how to post a video properly... here's a screen shot, followed by the link.